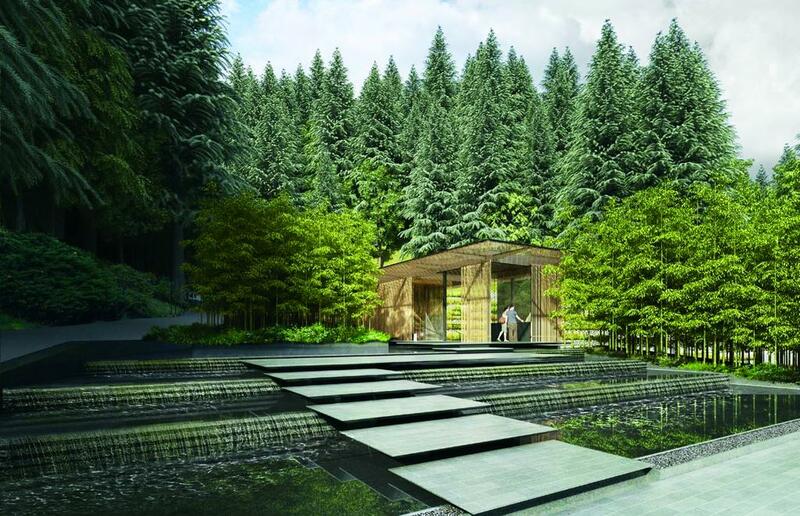 The Portland Japanese Garden has launched a capital campaign to support its planned expansion, which will include a series of new buildings by acclaimed Japanese architecture firm Kengo Kuma and Associates. 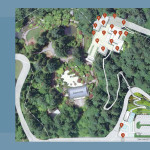 The project will leave the existing garden undisturbed, and will add a new cultural village as well a new ticketing area. 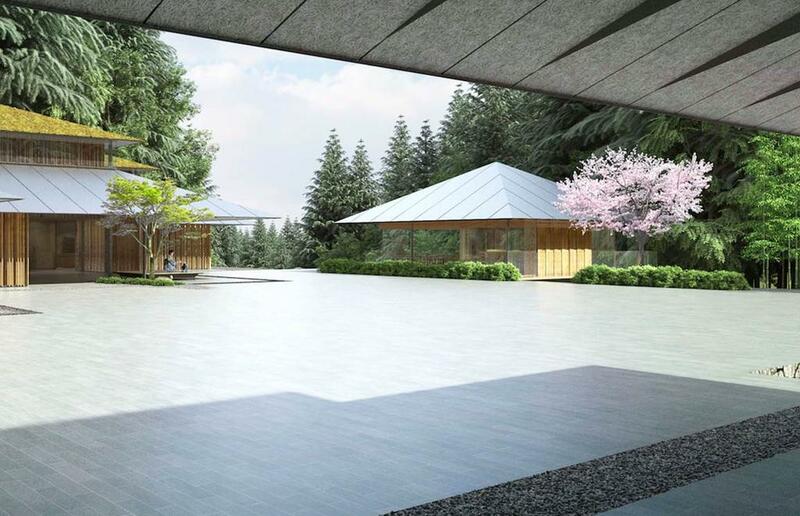 The expansion of Garden will be Kengo Kuma and Associates’ first public project in North America. 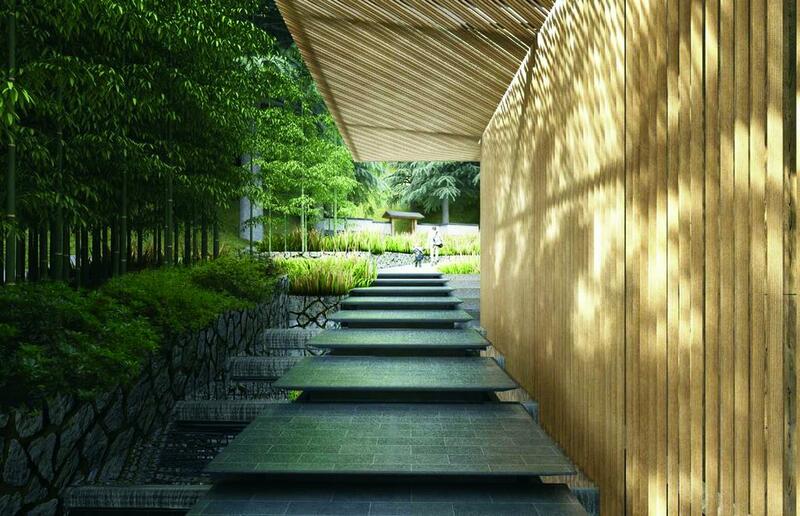 The Japanese firm is being assisted by local architects THA Architecture and landscape architects Walker Macy. The new cultural village will be built at the approximate location of the existing shuttle drop off and maintenance buildings. At its center will be the Tateuchi Courtyard, where the garden will host seasonal activities, performances and demonstrations. Clustered around the courtyard will a tea house, a garden maintenance building and the village house. 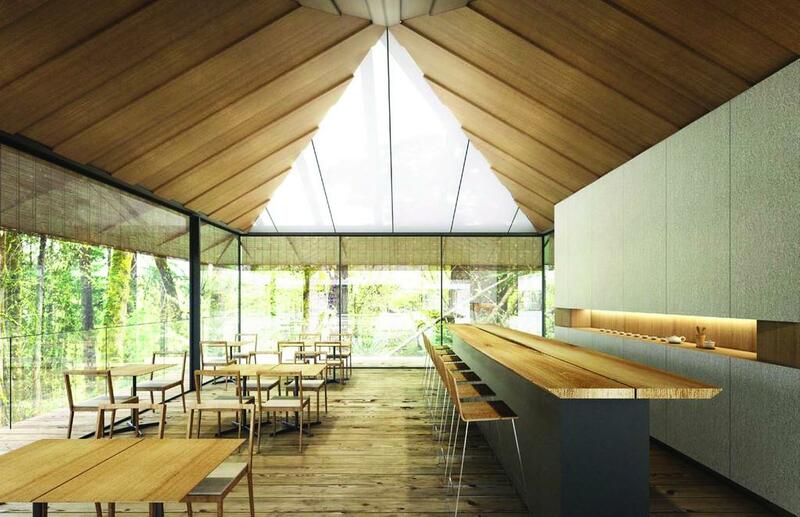 The village house will include a gallery designed to house rotating exhibitions; a library with resourcing covering Japanese gardening; and a new gift shop. 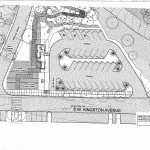 At the bottom of SW Kingston Drive a reconfigured parking area, a ticketing pavilion and shuttle pick up will be created. Around these will be new garden spaces, including a series of terraced lotus ponds. 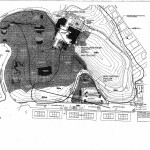 From there visitors will be able to walk up the hill via a pathway, or take a shuttle to the cultural village. A Conditional Use Review was approved by the City [PDF] in July 2014, required because the project proposes to add new buildings in an Open Space zone. 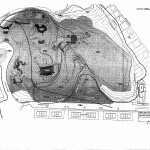 The approval was appealed to the City Council, and then to the Land Use Board of Appeals, both of which upheld the original decision. Building permits were applied for in January 2015, and remain under review. As reported in The Oregonian the garden will close for six months, from September 2015 to March 2016. Construction will then continue through April 2017. 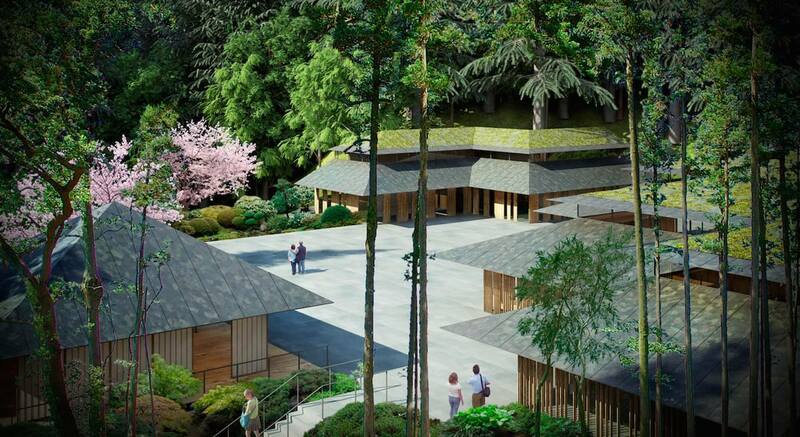 The Japanese Garden intends to hold a grand opening for the new buildings in Spring of 2017. 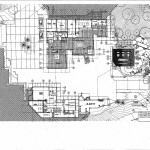 This entry was posted in Arlington Heights, Hacker, Japanese Garden Expansion, Kengo Kuma, Walker Macy. Bookmark the permalink.